Payroll processing involves far more than merely tracking employee hours and cutting checks. Payroll affects your standing with the IRS. It puts you at risk for Fair Labor Standards Act (FLSA) violations. Errors can increase labor costs and lower employee morale and retention. Clearly, many U.S. employers fail to appreciate the importance of accurate payroll. Dozens of common practices violate wage and hour laws. Are you overlooking these less-obvious payroll processing mistakes? Employers who don’t follow Department of Labor (DOL) guidelines are on thin ice. The DOL doesn’t budge on this one. The classification affects minimum wage, overtime, benefits eligibility, and workers’ compensation. Employers who misclassify are at risk of state and federal penalties. For employees to qualify as independent contractors, they must meet all requirements. Some business owners assume that if a worker passes one, they meet the entire test. For example, a construction worker who brings his own tools meets one provision. But if the employer controls all other aspects of the job, the worker is legally an employee. A Michigan contractor misclassified just seventeen employees and had to pay $137,000 in back wages. If the nature of a worker’s job seems to be in a classification gray area, they are probably an employee. Err on the side of caution. Overtime provisions are not straightforward. 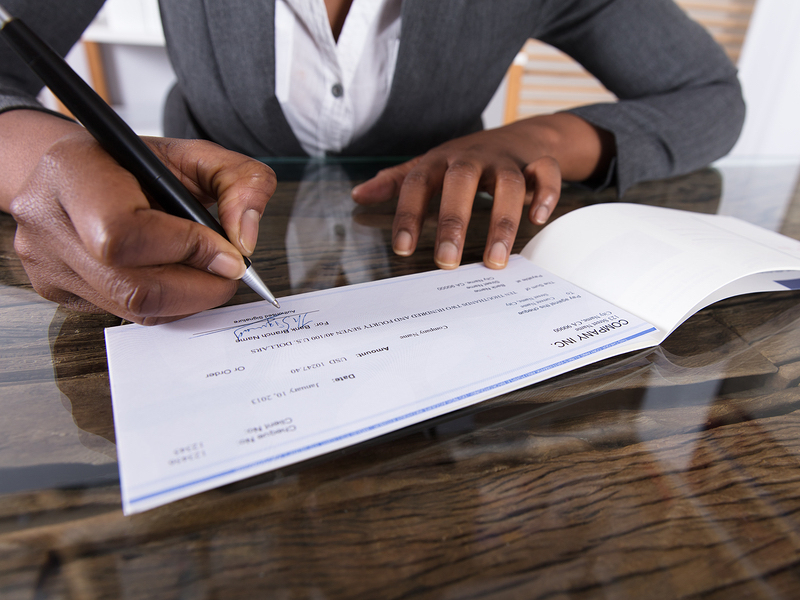 Some common practices cause employers to unknowingly withhold pay. For example, companies have been fined for requiring off-the-clock work. This is illegal in and of itself, but it can also affect overtime calculations. For example, an employer who doesn’t pay employees for changing into their uniform or setting up their workstation. These unpaid minutes could put the employee over 40 hours. But if they aren’t included in the total hours for the pay period, the employer has now committed two violations. Shift differentials, non-discretionary bonuses, and performance bonuses are a part of a non-exempt worker’s overtime rate. Meals and breaks can also be tricky. Paid breaks for non-exempt employees count toward hours for overtime calculations. Unpaid meal breaks generally do not count toward total hours. Requiring workers to be on-call is risky. The practice can cause you to violate overtime laws plus any applicable Predictive Scheduling laws. Some business owners aren’t as careful with exempt employees. A worker who is exempt from the overtime rules has other protections under the FLSA. One of these is being paid for an entire workday even if they don’t stay the whole day. Employers who dock pay in such instances are committing a violation. It is frustrating for an employer when a staff member often leaves early or comes in late. The employer can take other actions to address the behavior—but don’t withhold wages. When you have tipped employees, your payroll processing takes on another layer of complexity. The DOL defines a tipped employee as one who receives more than $30 per month in tips. Employers may generally use the tips as a credit for minimum wage compliance. Tip pooling is a common practice in restaurants and hotels. A valid tip pooling arrangement seeks to distribute tips to non-tipped members of the team. For example, it’s common for restaurant servers to share tips with table bussers. However, it’s illegal for managers and supervisors to receive a portion of tips earned by workers they oversee. In March 2018, the Fair Labor Standards Act added clarification to tip pooling. Employers that don’t take a tip credit and pay employees the full minimum wage may share tips with back-of-house staff. However, employers that do take a tip credit must limit the tip pool to employees who customarily receive tips. Additional details can be found on the DOL website. Some states have additional laws that affect tip pooling. Bottom line? Employers who allow tip pooling need to be extra careful that they are following Federal and State law. Employers should review their payroll processing recordkeeping to make sure they are compliant. Most employers keep records of basic information—employee name, contact information, hire date. etc. But what about the less-obvious information? Did you know that you have to keep time cards, piece work tickets, and wage rate tables for three years? You are also required to keep work schedules. Adjustments to wages must also be saved. When an employee is no longer with the company, the employer must still keep these records for a period of time. Are you tracking all the necessary information? Is payroll processing data accurate and accessible? Do you accurately calculate PTO? Would your payroll processing records stand up to a labor audit? Can your employees cheat the system? Are payroll processing records prone to human error? Workforce management software helps you avoid payroll processing mistakes whether you process in-house or with a service. The software records employee time and creates accurate timesheets. It tracks PTO, meals and breaks, overtime, and tips. It handles employee classification, Affordable Care Act (ACA) and Fair Work Week compliance. Payroll compliance requires reliable time and attendance data. Workforce management software collects, calculates, verifies, and submits the critical information. With a couple clicks, you can pull up a report from any pay period. Small business owners can’t cruise under the radar. The DOL prosecutes payroll violators whether they have five employees or fifty. Employee awareness is increasing. A worker can easily file a complaint with the DOL. Protect your business and employees. It’s never been more important to use workforce management to avoid payroll processing mistakes.